Unsurprisingly, Microsoft is constantly improving its services due to the fierce competition with other giants in the smartphone industry. Although the company gave up its hardware business, Microsoft still has a lot of apps on just about all mobile platforms. Outlook is one of those apps that provide one of the most valuable services for consumers and businesses: email. The latest version of Outlook promises to reshape the way users navigate, chat and search within the application. The Redmond-based company has just announced that it launched a new Outlook on iOS and Android, which feature redesigned conversation, navigation, and search. With the new app, users will be able to quickly switch between accounts and browse folders. Also, new intelligent search capabilities powered by Microsoft Graph will be added soon. 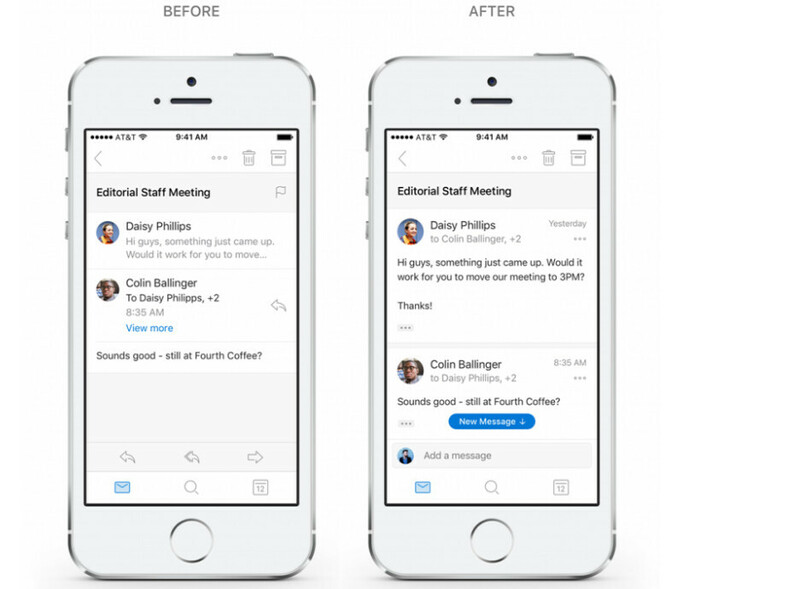 Conversation-wise, Microsoft redesigned Outlook to show more of a conversation at once. The app will now offer a clearer separation between individual messages. Other tweaks like the option to quick reply to everyone by just tapping the quick reply box, as well as the ability to edit or forward a conversation, have been implemented too. 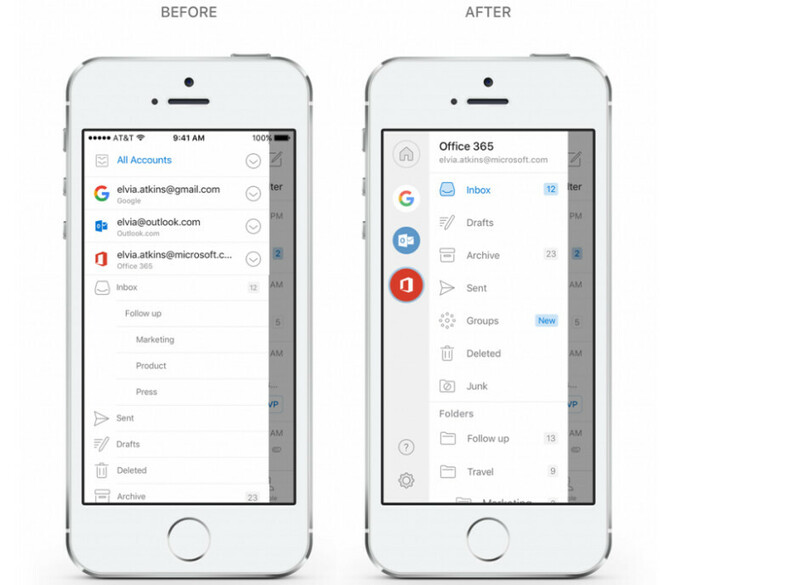 The new intelligent search capabilities mentioned earlier will soon make their way to Outlook for iOS and Android. When they do hit App Store and Google Play, Outlook users will be able to start a search on the fly since the feature will be just one tap away. Moreover, People and Files will be integrated into the search experience. Last but not least, whenever you type a name in the search box, Outlook will display suggestions from most frequent contacts. All the new features, with the exception of the intelligent search capabilities, are already available in Outlook for Android and iOS, as long as you update to the latest version.